UPDATE, April 2016: the conflict between Azerbaijan and Armenia over this region has erupted into violence again. There has been military engagement with helicopters, tanks and guns, and a few dozen soldiers have been killed. While the situation remains as unstable as it is now, travel to the region has to be discouraged. A region in the southern Caucasus which is a self-declared independent republic, but remains internationally unrecognized. For the intrepid traveller it's a special thrill simply to be in such an "exotic" place. But there are also many reminders of the recent dark history of the place, not just in the form of poignant memorial museums. Physical scars from the nasty Karabakh war are also still visible – including the world's largest ghost town, Agdam. More background info: Geographically, and "de jure", the enclave of Nagorno-Karabakh is part of Azerbaijan, but "de facto" it's now part of Armenia, who towards the end of the Karabakh war took control of the entire region – plus "buffer zones" of Azeri territory around Nagorno-Karabakh. This also includes the Lachin "corridor" with the road to Armenia, so that Karabakh is, from a practical point of view, no longer the enclave it used to be, but a direct neighbour of Armenia. To make matters even more complicated for outsiders to get their heads round, the "country" also has a different name internally, namely: Artsakh. The name Nagorno-Karabakh, under which it is better known in the rest of the world, is, in turn, a confusing linguistic mix itself: "nagorno" meaning 'mountainous' in Russian, "kara" meaning 'black' in Turkic languages such as Azeri, and "bakh" meaning 'garden' in Persian (also in Turkish/Azeri). The region had long been traditionally Armenian. Though during its years as part of Soviet Azerbaijan, the formerly predominantly Armenian population was slowly joined by an increasing proportion of Azerbaijanis. Now the population is almost entirely Armenian again. During, and in the wake of, the conflict in the region, most of the Azerbaijani population fled ... or were pushed out, depending on which side you ask. There are still a large number of 'internally displaced persons' ('IDPs') in Azerbaijan who have been hanging in limbo since 1994, many still living in refugee camps. Crucial roots of the conflict lie, as so often in these parts of the world, in divisions and map-redrawings that stem from times when the Caucasus countries became part of the Soviet Union. Apparently it was Stalin himself who gave the Karabakh region to the Azerbaijani SSR. Even before the collapse of the USSR, however, the internal tensions between the different ethnic groups were heating up, especially from ca. 1987/88 onwards, and developed into a full-scale war from 1991. I will not take sides here, and will certainly not offer any opinions as to who started the violent conflict or who is to blame for what at what stage. Suffice it to say here that initially fortune seemed to be rather with the Azeris, while Karabakh's militias of Armenian descent often had to make do with largely homemade and improvised weapons. With increased support from Armenia, battle fortunes turned against Azerbaijan, esp. with and following the decisive retaking of Shushi by Armenian-Karabakh forces in May 1992, from where the Azeri military had been shelling the region's capital city Stepanakert. The war only ended in a ceasefire in 1994, finally putting a stop to several years of increasingly bloody fighting – with Armenia de facto the "winner", and Karabakh "free" and "independent". This status, however, has never been official and the international community and especially the UN still regard the region an integral part of the territory of Azerbaijan. So the underlying conflict is far from resolved. At least the parties involved have pledged to work towards a peaceful settlement of the issues. Russia acts as the main mediator ... ironically, as it had been heavily involved militarily on both sides. And the "Minsk Group" was established by the international organization OSCE to work for a lasting resolution of the conflict. However, a true resolution seems about as far away as one for the never-ending conflict in the Middle East over Palestine. What there is to see: The war of the early 1990s left many a scar on the disputed territory, including areas where landmines and UXO still pose a problem today ... so no venturing out into uncharted pastures here! A few abandoned tank wrecks are also still dotted about the countryside – and you can spot the crumbling disused train line that once ran through the region. All this alone makes Nagorno-Karabakh a rather dark destination. Not strictly speaking part of Nagorno-Karabakh "proper", but only accessible from the there, is the ghost town of Agdam – and that's the one place that really stands out as a "dark attraction" of the whole region. It was taken by Armenian forces in 1993 and is still under Armenian military control, although it is actually located on what was formerly Azerbaijan's territory, lying within the "buffer zone" just inside the Armenian side of the ceasefire line. The city once had a population of over 100,000 but is now totally deserted and nothing but a sea of ruins. Officially it is out of bounds for tourists, but you can get there without taking too much of a risk. There are other more or less empty ghost towns of a smaller scale too, such as Fizuli, further south, which are somewhat easier to access. Perfectly within easy tourist reach is the "capital" city of Nagorno-Karabakh, Stepanakert, with its war-related museums. It's also the best base from where to explore the rest of the country. Not far from Stepanakert is the area's second town Shushi, also badly scarred during the war ... and with many ruins remaining to still bear witness to the violence. But Shushi is slowly recovering too. Its significance as a decisive battle site is marked by a prominent tank memorial. 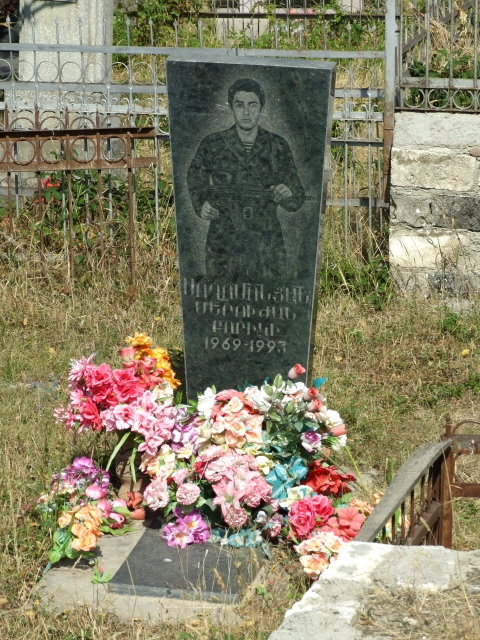 All over the region you'll see cemeteries with headstones showing engraved images of soldiers – typically clutching a gun and dressed in camouflage fatigues under which that typical black-and-white striped T-shirt shows, which seems to have been part of the Karabakh fighters' obligatory "uniform". Location: in the remote eastern part of the Lesser Caucasus, wedged in between Azerbaijan to the east and north, Iran to the south, and Armenia to the west. Access and costs: surprisingly easy, (for the most part) safe, and not too expensive either. Details: The occasional skirmish on the "frontline" notwithstanding, there's relative stability in and around Nagorno-Karabakh, at least for the time being, however fragile it may be in essence. And for the (dark) tourist it is perfectly possible, (mostly) legal and actually quite easy to go and visit the region/country. It's quite "exotic" a destination, but not really unduly risky. 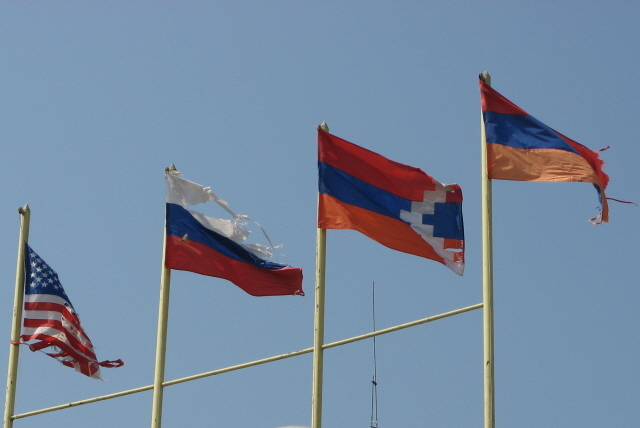 However, because of Nagorno-Karabakh's unrecognized status, there are no embassies or consular services – i.e. if something does go wrong, or you get into trouble with the authorities, you're on your own. Your country of origin will not be able to help you in the usual way though its consular/embassy services. The thrill of travelling to such a place thus comes with the price of a somewhat greater risk (legally speaking). So it's really important to tread carefully here and avoid any kind of risks that might get you into the sort of trouble where you might need such outside assistance. In the case of Nagorno-Karabakh, however, Armenia (which effectively runs the country) is never far away and it has all the embassy networks of a "proper" country. The border between Nagorno-Karabakh and Azerbaijan – i.e. the 1994 ceasefire line – remains closed, just like the Azerbaijan-Armenia border in general. So access is only possible from Armenia, namely through the (former) "corridor" that is the Goris-Stepanakert highway. Strictly speaking this traverses Azerbaijani territory, but it's the one exception to the rule that you shouldn't venture out of Nagorno-Karabakh "proper" and into the "buffer zone" (but see Agdam). There are even regular minibus services using the route. You can also just get a taxi to take you there, either from Goris, which is the closest town in Armenia, or get one from Stepanakert to pick you up in Armenia – your hotel may be able to arrange this for you. Tourists are required to obtain a special Karabakh visa available either on arrival in the "capital" Stepanakert (from the Ministry of Foreign Affairs, 28 Azatamartikneri Poghota, the central north-south boulevard), or in advance in Nagorno-Karabakh's "permanent representation" in Yerevan, Armenia (17 Zaryan Poghots). Prices seem to have fallen in recent years – and esp. with the assistance of your hotel in Stepanakert you may be able to get the lowest available price for a tourist visa, for a few days, on the spot. This was just 3000 AMD (ca. 6 EUR) when I went in August 2010. Even if you already have a visa when you arrive, you still need to register at the Ministry of Foreign Affairs, so you could just as well get your visa there. Note: a visa for Nagorno-Karabakh in your passport means you will be refused entry to Azerbaijan – so either insist on having the visa issued separately from your passport, or visit Azerbaijan first if you want to be sure of getting into that country. The other way round, i.e. having an Azerbaijani visa in your passport when entering Nagorno-Karabakh will not preclude access, but it may result in some extra questioning by the border soldiers – as I experienced when I got there. There's no need to be too defensive but it may be advisable not to play up what a great time you may have had in Azerbaijan. Legal tender in Karabakh is the Armenian Dram (AMD), i.e. though "independent", the "country" does not have its own currency (unlike Transnistria!). Hotels may also accept EUR or USD. Accommodation options are surprisingly plentiful for such a remote place, ranging from homestays to proper hotels, mostly in Stepanakert. 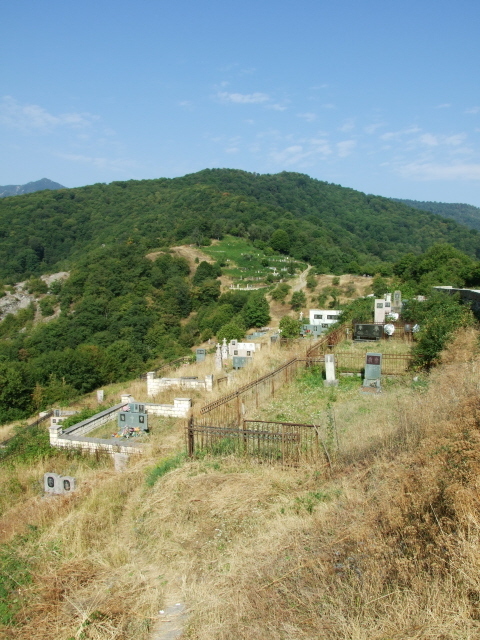 There are even a couple of wholly eccentric "folly" resort hotels by the road towards Gandzasar, which were built by rich Diaspora Armenians from Russia – and presumably the clientele will be predominately such Russians too, but that needn't stop non-Russians from going there. They're good value accommodation too and one is even said to sport a genuine Chinese restaurant. Getting around is easy enough. Taxis can be hired to chauffeur you just about anywhere in the region and it won't cost a fortune. For those on a shoestring budget, there are cheap marshrutka (shared minibus) services as well as a few buses between the main settlements, though they may not be particularly frequent (except to/from Shushi). Costs for food and drink, including meals at restaurants/cafes, are quite low. However, choice-wise, the culinary experience is also at least as limited as in Armenia, unless you are an undiscerning carnivore. Vegetarians will mostly have to make do with salads and soups – or pizza: I found quite agreeable ones at a cafe near the smaller of Stepanakert's two quaint "funfairs" – one variety was called "pizza gorgonzola", which, though sans any gorgonzola, featured the unusual extra topping of tinned peas. It helps to have some grasp of Russian (or Armenian, of course) in order to get around or get served in cafes etc. – although I found a few places where English was understood to some degree and even featured on menus. But don't rely on English being the universal lingua franca here that it is in so many other places. Some tour operators in Armenia offer fully guided, organized Karabakh tours, or at least packages that include at least a stopover there. However, these are of little use to the dark tourist, as they concentrate almost exclusively on the cultural/mainstream sights and/or nature trails. One local agency called "Asbar" used to offer tailored tours, some of which included the darker sites, but it was no longer in operation when I visited in 2010. But who knows, maybe it (or some equivalent) will come back … However, hotels may be able to help too with finding drivers and even a guide. I found the manager of Hotel Nairi in Stepanakert exceptionally helpful. Time required: two full days should suffice for covering all the dark sites described here as well as a bit of mainstream sightseeing. Add extra time for getting there and away, though, so you may need at least three nights' accommodation. 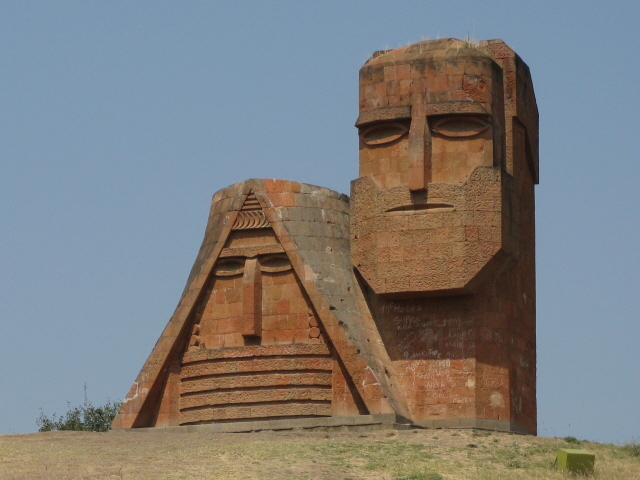 Combinations with other dark destinations: the nearest proper dark tourism attractions are in Yerevan, Armenia, about a day's drive from Stepanakert. Although I found Sisian in south-eastern Armenia to have a somewhat darkish (of sorts) "appeal" too. Combinations with non-dark destinations: the No. 1 mainstream, cultural sight within the territory of Nagorno-Karabakh is the monastery complex of Gandzasar – which is indeed a fine example of such Armenian architecture, if you're not already "monasteried out" from the many similar places within Armenia proper. This is also the easiest to get to. There are other (ruins of) ancient monasteries and fortresses, but getting to these may require a good guide and even a special permit from the military. 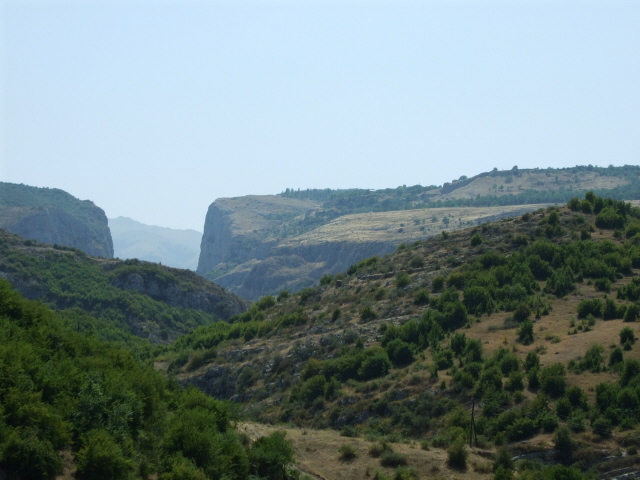 En route from Stepanakert to Agdam lie the great fortress walls of Mayraberd/Askeran, which are also worth a look. One special sight is the enormous plane tree of Skhtorashen, said to be 2000 years old and over 50m (165 feet) tall. What makes it really special is that it's hollow, and the space inside is as big as a chapel and could hold dozens of people! The tree lies on the Janapar Trail, which in itself is Nagorno-Karabakh's main attraction for dedicated hikers: it's a 190 km (120 miles) long marked trail crossing Karabakh taking about a fortnight to complete in its entirety. Even if you don't want to invest that much time and hiking energy, the scenery can be thoroughly enjoyable to behold from various viewpoints. Nagorno-Karabakh is for the most part not only mountainous but also very green. 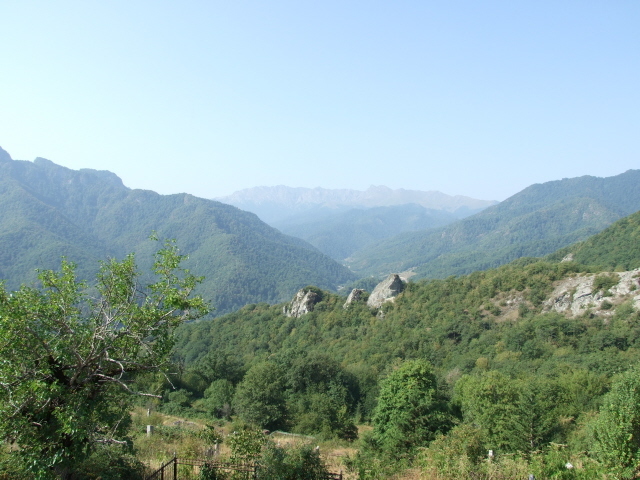 Whereas most of Armenia's forests have (literally) fallen victim to excessive logging, in Karabakh there are still vast stretches of pristine woodlands. There's also interesting wildlife, including wolves and bears, though you are not very likely to encounter any.